what is your favorite holiday? i was thinking about that one morning on the drive to church, and i think i decided it's a tie between Easter and Christmas. there are holidays year-round that i love to celebrate and the traditions are already in place for us: birthdays, anniversaries, Thanksgiving, Valentine's Day, and the first and last days of school. but there are daily occasions and lesser-celebrated holidays that i want to celebrate, know more about, and create new traditions. like, did you know August 9 is Book Lover's Day? my daughter would be all over that! we should be celebrating! i have this new fun book that helps make celebrating every season and all holidays extra fun. 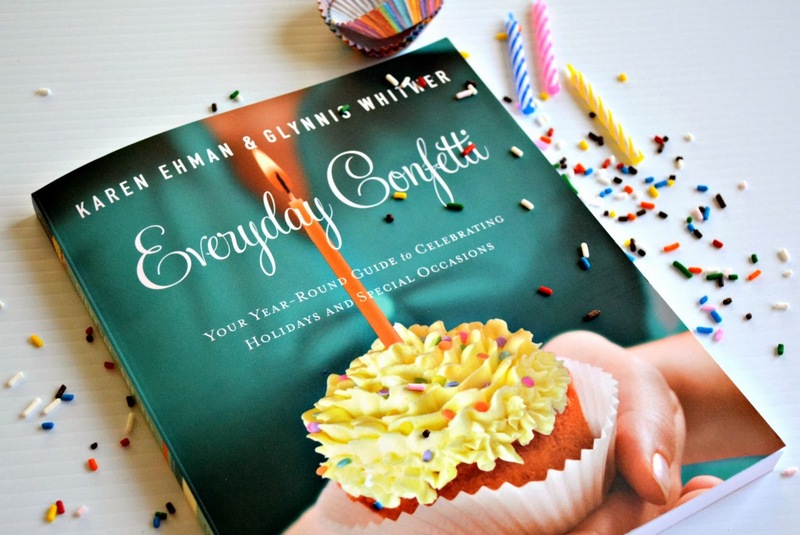 everyday confetti, by karen ehman and glynnis whitwer, is a year-round guide to celebrating holidays and special occasions. this beautiful book offers recipes, devotions, reasons for celebrating, ideas for new traditions, decorating tips, fun activities, and practical ways to make every day a special occasion. (i learned about Book Lover's Day from this book) the authors are both contributors of Proverbs 31 Ministries and put this book together to inspire families to celebrate everyday moments, to pause in the midst of a busy holiday and remember what's really important. "Life is filled with moments to treasure and to celebrate. Together, let's sprinkle confetti on these treasured moments, making sure to leave a layer on those we celebrate with and for, and on those God calls us to love on in His name." when i hear the word confetti, i think about my sister-in-love Roni. she has been part of our family for nearly 10 years now, and i love her like she's been with us forever. Roni is so good about sending cards on holidays and birthdays, and even very prompt in sending thank-you cards. and one thing we can always count on when we get a card from Roni, confetti. she sprinkles colorful, glittery, sparkle bits in every single card every single time. i love it. it truly feels like we have our own little celebration right there in our hands. 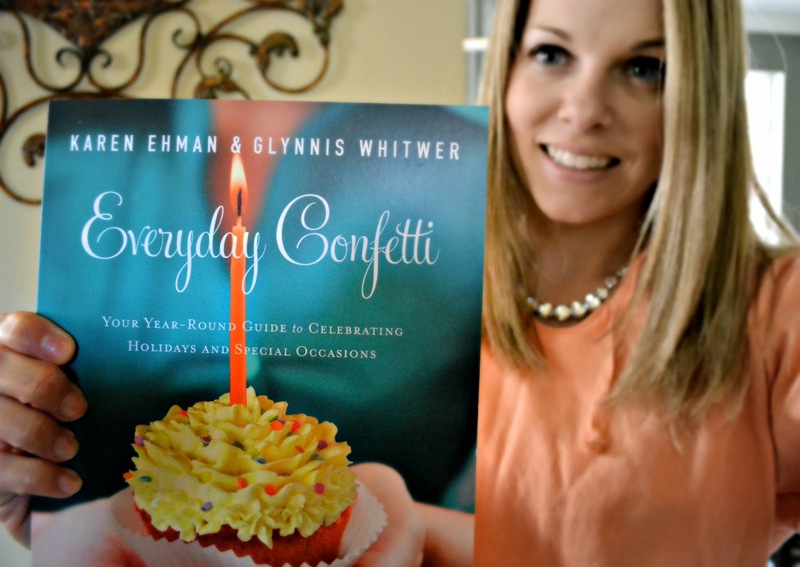 everyday confetti is a book that inspires us to bring confetti to ordinary days- celebrating life, each other, and God's goodness. i'm happy to have this book on my shelf with my cookbooks, and i think you will like it, too! 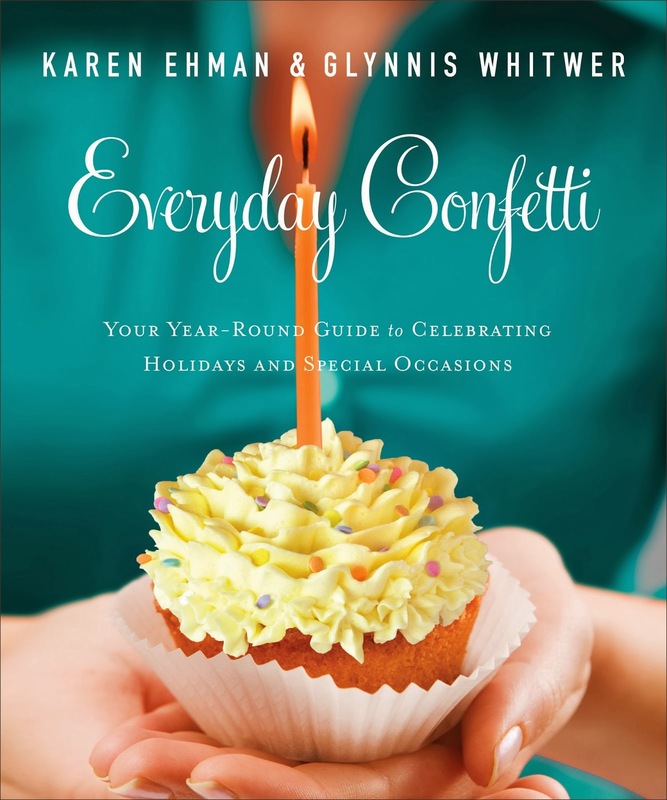 everyday confetti is now available at your favorite bookseller from Revell, a division of Baker Publishing Group. also check out everydayconfetti.org, an online source with "ideas to sprinkle special on every day." *i was provided a copy of the book for the purposes of offering my honest to goodness review.